The following post was written by Nana Darkoa Sekyiamah; a woman who works for the African Women’s Development Fund, is co-founder of the award-winning blog, Adventures From The Bedrooms of African Women and MAKSI Clothing. These are only a few of her achievements. Does she sound like a woman you would want to cross? I doubt it. Others – it seems – disagree. 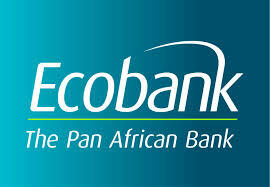 I joined Ecobank because it proudly describes itself as a Pan-African bank, and I’m a woman with Pan-Africanist ideals. At the first ATM I was unable to withdraw any money, so he took me to a second ATM, same scenario, and then a third. I was embarrassed, ‘Oh I don’t know what’s happening, I definitely have money in my account.’ I knew taking money out of the ATM shouldn’t be an issue. I had purposely visited my bank and asked them if I could take out money in Nigeria and I had been told yes. I had previously used my Ecobank card in the United States and had experienced no issues at all. I called one of the staff at my local bank in Ghana, and he advised me to call the general customer number, and so I did. A customer rep picked up my call, promised to call me back, and never did. Thankfully those US dollars came in very handy. I have been threatening to leave Ecobank for ages. Every so often I get on Twitter and rant about the lack of service I receive at the bank, or about waiting in a queue forever, or the unnecessary bureaucracy Ecobank (Ghanaian banks) seem to delight in. Do you remember when Ecobank floated shares? I bought some. So did my mother, and my brother. Over the years my mother and brother have received miserly dividends – $5 here, $3 there, ohhhh and a big cash in of $7. All along I received a big fat nothing. A couple of times I went to the bank and asked, ‘So what is happening. I never get any dividends’? The response for a couple of times was, ‘Hmmm. People have been complaining. We’ll look into it for you.’ Eventually I was told, ‘You need to go to Ridge to ask about your shares’. I was irritated. Ah, how do I need to go to Ridge to ask about my shares? When I was buying these shares I didn’t need to go to Ridge but eventually I went to Ridge, and there I was told I needed to visit the Ghana Commercial Bank on the High Street if I wasn’t receiving my shares. ‘I am not going anywhere. I am not going to go and pay a notary, and then go to a post office to buy x. This is the fault of Ecobank, and I don’t see why I have to suffer for your mistakes’. A young man rushed over to the desk where I was being dealt with. ‘What seems to be the matter Madam?’ I explained the situation. ‘Please come this way’, he said. After 10 minutes of fiddling about with paperwork and, speaking to his supervisor he said, ‘Madam I’m really sorry but you’re going to have to get the notary to sign…’ ‘Listen, I’m not going anywhere’…So another supervisor stepped in, and eventually they said, ‘Okay since the mistake was with Ecobank you need to go back there and tell them they need to change their address on their system’. And so I went back to Ecobank, and my address was changed on their system. At this stage I wish I could say, ‘…and then Ecobank and I lived happily ever after’, but I made the mistake of making a simple mistake. I run a small business with my sister, and that small business also banks with Ecobank, and our accountant had requested that we get a copy of our statements from the date the account was open. I dutifully wrote a letter to the bank requesting for this information and dropped it off with the Enquiries desk at the Community 6 branch in Tema. When I went the following week to pick up the letter I was told, ‘Oh but you didn’t state when you wanted the statement to start from’, and so I wrote the date I needed the information from manually on the printed letter. ‘Okay when you are coming back for the statement bring another copy of the letter with all the information typed.’ And so the following week I came back with another word processed letter, and was told, ‘Just a minute please’. That minute lasted 60 minutes. I waited an hour to pick up a statement I requested 2 weeks previously. I sat there stewing in my anger. How can this be the case? At the same time I had dropped off my request at Ecobank I had gone to Zenith with the same request, and within 10 minutes I had my statements (I hadn’t needed to wait or ‘go and come’ for this information). At the end of the day I got an SMS update from Ecobank. I had been charged GHC40 for the statement printed earlier that day. Everybody has a breaking point, and that was mine. That was the reason why I called up the customer service line to inform them that I would be closing our corporate accounts and I needed them to know the reason why. That’s the same reason why I am now shopping around for a new bank to manage my personal account. Do you have any recommendations? Do you bank with Ecobank? What are your Ecobank horror stories? Feel free to vent in the comments box. A few things have happened since we put this post up. In the name of fairness, we are bumping up from the comments below Ecobank’s attempts to right the customer service wrongs outlined above. So fingers crossed. On a positive side this shows that at least some companies listen when we make our issues known publicly. Time will tell whether I grow to love Ecobank or continue to hate them At the moment I am a tad mollified. Our attention has been drawn to your publication regarding series of unpleasant service experiences you have encountered with us. We have attentively read your message and we apologise sincerely for all the service delivery shortfalls from ATM experience, share dividends and request for account statement. Indeed the conduct of our staff for the occasions mentioned fell short of the high standards we have set for ourselves in Ecobank in the service of our clients. Kindly accept our apologies once more. We would appreciate an opportunity that would enable us to resolve the issues at stake and avoid a recurrence. We humbly request that you kindly contact us through our address:ecobankenquiries@ecobank.com enable us to establish a contact and resolve the concerns you have raised. Ecobank takes this opportunity to express our sincere apologies to you and to the general public for any inconveniences caused. Previous PostOne Night. Three Events. Hahaha. This is why we get on Kobby, you try not to cross me 😛 Thanks so much for sharing this post. I’m curious, what has other people’s experience of Ecobank been. As we speak I went to my branch on Wednesday with a request which to date has still not been fulfilled because they have had ‘network issues’. 2 days of network issues? Jokers! After a few years of terrible service I left Ecobank for Zenith. While they have their problems too, of you’re vocal about it, they do their utmost best to resolve said problems. Light years better than Ecobank. b) your water bill is from more than 3 months ago [and although it shows the same residential address you still live at now and that is what we need the bill for] we can’t accept it, come back with a more recent one. I left and went straight to Fidelity Bank (they had no need for water bills, recent or otherwise, plus they smiled at me like my business mattered) and opened the account. I vented to the branch manager at ECOBANK Trust Towers later. (no senior officials at my door yet, I’m keeping my fingers crossed). The best bank in Ghana is under your bed. Don’t get me started about how retarded we are as a nation. We deserve exactly what we get. Ecobank. Sighs. I need an entire book, to chronicle my woes with Ecobank. Try Cal Bank, I had to open an account with Ecobank for work and have not once received a statement even though I requested to receive bi-annual statements for my records when the account was opened. 3 years later and not a single statement. When I went in to complain about it and draw their attention to the fact that they had been failing to provide me with regular statements they printed out a statement there at the branch which they attempted to charge me for and somehow still failed to rectify the situation. Needless to say I have therefore failed to continue to bank with them. I will consider reviewing this decision the day they consider actually providing me with a service. Until then I continue to bank with my original bank, Cal bank, of whom I cannot help but speak very highly of. The staff always take a personal interest in your needs as a client and consistently go above and beyond to ensure your requests are properly handled and met. My statements are emailed to me promptly and I am notified in real time of every transaction that is carried out on my account via sms. I’ve been banking with them since I moved to Ghana in 2004 and to date I don’t have a single complaint and you know I am fussy when it comes to service so I have to say they are tops and come highly recommended. Not the biggest bank but a gem of a bank nonetheless. As you vent, please dont try SG SSB too. Thats like a worse tiger nut among bad ones. So fingers crossed. On a positive side this shows that at least some companies listen when we make our issues known publicly. Time will tell whether I grow to love Ecobank or continue to hate them 🙂 At the moment I am a tad mollified. We humbly request that you kindly contact us through our address: ecobankenquiries@ecobank.com enable us to establish a contact and resolve the concerns you have raised. Nigerian banks are way more effective! Let’s be honest. Staff of Ghanaian banks need some serious training! I wonder how they got to work in a bank in the first place. They are dealing with your money as if it is their auntie’s money and when you are fed up and want to leave that is when they call on the date of your birthday to show you how valuable customer you are! I was personally in private banking and decided it was not worth it. You pay more to get the same crappy service. I really think there is a lot to do for Ghanaian banking fly! People just need to accept that they need training and should probably go abroad to see how succesful a company with good customer can be. I personally left my bank after 4 years and is now happier with a Nigerian bank, even though it is not perfect at least basic operations are succesful and staff cares! I d say go for a bank that you like and that does not make you waste your time and money! How on earth is Ecobank ever considered a good bank by any standard? So if you tried using your Ecobank debit card at any of their ATMs across the capital this past weekend you would know that it was a futile endeavour. Infact your Ecobank ATM card most likely did not even work on other Visa machines across the capital. According to the bank this was due to some “technical challenges” they were working very hard to rectify. Now while these technical challenges are nothing new in this country, I have had enough of Ecobank’s “technical challenges”. For some unknown reason(s) the bank’s systems do not appear to function without glitches especially on weekends. In the past month I have had cause to contact them on at least three separate occasions concerning either their online banking and/or mobile money transfer platforms or something to do with their cash machines. On all of these occasions they simply didn’t have immediate solutions to the problems and typical of most organizations in Ghana they made a feeble attempt at making me believe they understood my frustration. I was also particularly taken aback, albeit not shocked by the bank’s posture concerning their interbank charges as it had become apparent that the only option available to me was transferring money into my account with another bank using their online banking service. While the money involved isn’t life transforming I find it extortionist to charge people 5gh just to move their funds from one bank to another within the country. More so on this occasion when my inability to access the funds was solely due to the failure of the bank’s IT systems. I had expected that as a goodwill gesture the bank will waive the fee on that occasion for at least the inconvenience caused. Well not Ecobank. I have been banking with them for about 4 years and in my opinion they continue to perform poorly as far as consumer banking is concerned. I do not think very highly of banking institutions in general however Ecobank consistently make some of the worst banks I have experienced look five star. During the aforementioned period, I can count the number of times I have received acceptable customer service from Ecobank especially within branch. Granted the guys over at their customer service office are probably their strongest link, that is if they know what they are talking about. On a good day you might just walk into the odd staff member in branch who is willing to be bothered. Usually their staff members are extremely rude, clueless and/or barely wear smiles on their faces (which granted may not be entirely crucial in this country). Rather they seem obsessed about talking about one bank policy or the other and once you begin to unpack these so called “policies” they come across as sophisticatedly out of depth. While policies on their own may not be bad, one risks the possibility of looking and sounding like a clown when these often antiquated rules are not reviewed or updated regularly to reflect changing times. Then there is the issue of proactiveness. On at least two occasions I spent almost an hour queuing in their branches on the Spintex Road and Abeka Lapaz just to pay in and/or withdraw money. On both occasions none of the members of staff available bothered to take steps to ease the chaos in the banking hall. In the case of the Spintex experience, I walked right after to the GCB branch opposite Ecobank and spent just about 20 minutes even though the number of people in the hall were comparable if not worse that those in the Ecobank branch. The difference was that the GCB staff did something to manage the customers in the hall on that occasion and it worked. Another area I have had issues with is their charges. Based on my experience and that of a number of people I know Ecobank is notorious for imposing draconian charges for just about anything. In the past I have contested charges they sought to impose on me because I wanted to move funds from one of my Ecobank account to another and they probably would have had their way had it not being for my resolve. In the end it took the threat of closing that account to bring them back to their senses. I closed my Ecobank business account solely because of above issues. I have since opened accounts with GT Bank and Fidelity. While it may be too early to judge these banks I think my experience so have has been positive. At least I don’t have to endure the sub standard customer service I had come to expect with Ecobank. Prior to opening the account with GT bank, I visited four different branches for other reasons and was impressed by their level of efficiency and willingness on the part of their staff to assist people even with the very basic of queries. There is little doubt that Ecobank are making profits and probably will continue to do so after one doesn’t become the biggest bank in the country for nothing. However it would be interesting to find out how much of their profits over the years are as a direct result of the persistent pilfering from their customers and/or illicit unethical charges. Also, for me it doesn’t matter how profitable you are, if you treat me like you are doing me a favour by “holding my money for safe keeping” however small, I do not want to be associated with you. To date I had decided to retain my personal accounts I suppose because I had been with them for a while however events this past weekend is the final straw and quite frankly, I have simply had it. Completely. and hopefully live happily ever after. A cry from my heart, I am a student who pays through school from different nightmares which surrounds me daily, which you can’t imagine no matter how I explain. Eco-bank Pan-African bank became my Worst nightmare as the Makurdi branch decided to issue me an ATM card deducting 1,000 from a dormant account which I have not even used for over 3 years without my permission. I opened an account with Oceanic bank. After a while I left the account dormant. Later last year oceanic bank was bought by Eco-bank. I then decided to put daily any money I make to enable me pay for my fees of my last section in school. I considered it a brilliant idea to use the dormant account in Eco-bank so when the strike is over I can finish my schooling without any begging from family members and without dipping my hand into my money. After three or four deposit in my dormant Eco-bank account 1,000 Naira was deducted for ATM card charges. I went to the bank, I said Sir, I didn’t request for this services and my account is still dormant. If I want to withdraw money from my account I will use internet transfer or mobile transaction to payout. He said, I can’t help you its bank policy even if your account is dormant Eco-bank has the right to withdraw from it or issue you a card. I said, but this is not legal and I am rejecting this offer. He said, go anywhere you want with it, it will fall on deaf ears. So I left. After 3 hours I returned with a letter to the manager for refund of my money to my account. He just smiled and looked at me on the face and said. YOUNG MAN YOU ARE WASTING YOUR TIME YOU CAN DO NOTHING. This word really hunts my soul. Who can be of help here? 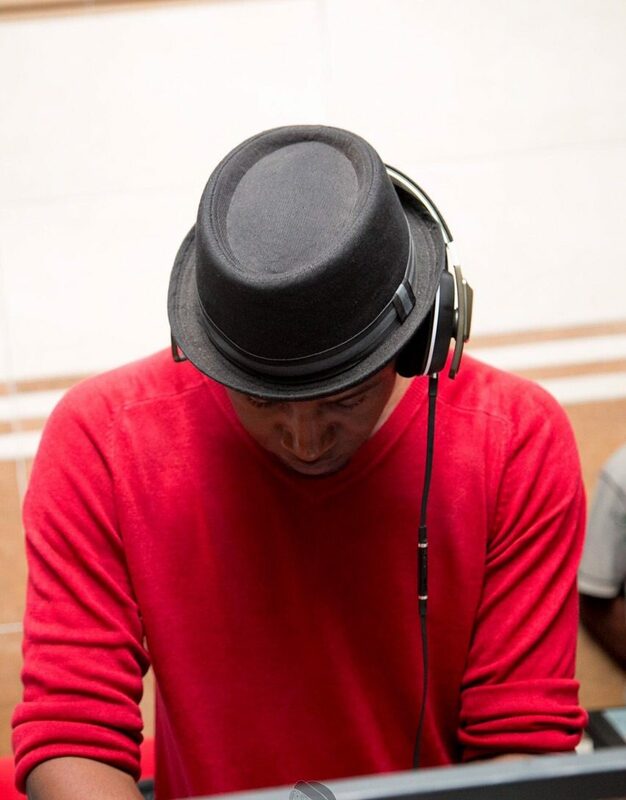 – Poor archiving – they haven’t been able to give me my records from when i opened the account till when i closed it at the head office to move it to the Labone branch … don’t get me started… that’s a whole other story.. I can’t believe Ecobank is still the WORST leading Bank is Africa. The self imposed title of “The PAN African Bank” should be officially stripped. They are real jokers. Wonder if their Board get to know all this maltreatment and still goes ahead paying them every month with the profit they gain from the same people they maltreat like they mean nothing to them. The main thing is most government institution like the Bank of Ghana who is make sure customer’s right are taken serious rather does nothing, not to even reply to take action against some of these banks who think there is no law to bind them too. I was mistakenly paid twice by Ecobank to my bank Stanbic. Although my company issued a single check, they mistakenly doubled it. I sent the below to them and until date no one has even bothered to reply or assist with the issue. I cannot express my hatred for this bank, but i know one day it would be their turn. I currently have evidence in my Stanbic account statement showing I was double paid but nothing to show the money has been reverted. Meaning one day somewhere, Ecobank can come bank denying ever reverting the money. Words might not be able to describe my feelings but I will manage to stay on course to pass my complaint across. It’s been alleged(as I did receive this info this afternoon) by ecobank that I was double paid in December 2013. Newmont does lot of payment to its employees around November and December. Ecobank Ghana would testify to this. My bank(Stanbic Ghana) and my Employer (My Employer’s Name) have confirmed not issuing a double payment to my account. My findings also revealed that ecobank knew of this mistake way back in December 2013 but as far as am concern no action was taken as Ecobank is the middle bank between my back(Stanbic Ghana) and My employers(My Employers Name). I do acknowledge that once a client noticed any unknown transaction it’s his or her duty to contact the back and same goes to the banks as well. 4. Why Salary issued by my employers(My Employers Name) to my account through my bank(Stanbic) had different amount(ref. attached) than advise provided to me by my employer. 5. Why didn’t I receive same amount as stated in the advice from my employer. 6. Why was action taken in point 4 not even communicated to the client(Myself) who is at the receiving end of the service chain with reference to Ecobank been the middle bank for my employer. ECOBANK is like the bad girlfriend u don’t want to leave. From shutting down ATMs on long weekends through to rude staff. My worst experience so far is a standing order for 500 cedis which they still owe me after a 3-month merry-go-round. I avoided EcoBank because of my Uncles bad customer service experiences. Glad things turned around for you. I hope they haven’t caused you any issue since. If I had read all these posts earlier, I would not have opened an account with Ecobank especially Labone branch in any form or shape. Today September 7, 2017, I am facing very similar customer service experience as described in many posts above. I have reached out to many of employees of Ecobank including some members of the board of Trustees but all efforts to help address the customer’s concerns have proved futile. I will not recommend any investor to invest with Ecobank. Please save yourself a headache.